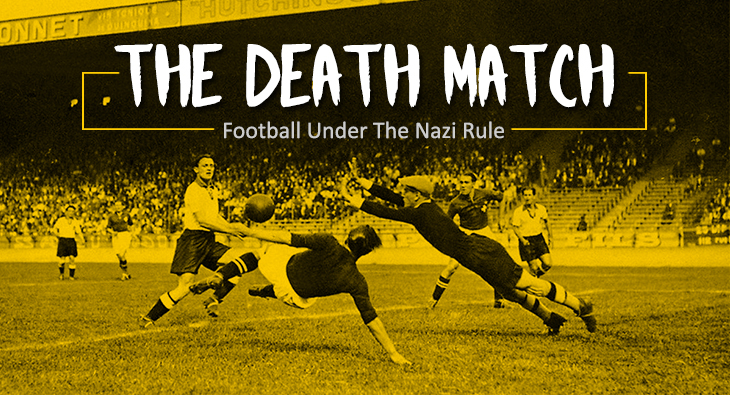 Like most things that took place under the Nazi regime, football too was a tad bit more high stakes than it is today, and in some cases, was a matter of life and death. Ominously dubbed Death Match by historians, the game took place during the peak of the Second World War, on August 9th, 1942 at Kiev, in Reichskommissariat Ukraine, a German-controlled territory, and has since become one of football’s most tragic, fascinating, and contested matches ever. Before this, on August 6th, a game took place between Ukraine’s FC Start, and Germany’s Flakelf, which was said to be a military team that comprised of men from the army as well as the air force. Before this match, Start was on quite the roll and was undefeated. Flakelf were essentially the Herrenvolk of football teams. Comprised of a group of “purebred Aryans,” their innate superiority would surely spell out disaster for the Ukrainians. The result, however, was quite the contrary. FC Start ended up winning 5-1. This was an evident blow to the morale of Germans, as they immediately arranged for a rematch that was to take place three days later. Posters that read “football” and “revenge” were displayed all over the city. The referee, conveniently for the Germans, was an SS officer, and rumor has it that the Ukrainian players were told that they would be killed if they didn’t lose. Despite having everything working against them, history does have an uncanny way of repeating itself, and FC Start defeated Germany yet again, 5-3. In the next few months after the match, Start players were accused of being NKVD agents who collaborated with the Soviet Union, and as a result, arrested, tortured and killed by the Gestapo, the German secret police. Other players were sent to Siretz, a labor camp, where they passed away. The goalie, Trusevich is said to have died in his football jersey. Over the years, the story has been distorted and twisted and is more of a myth attributed to Soviet propaganda, rather than fact, due to the lack of concrete evidence to prove that the match was connected to their deaths. But then again, the Nazis aren’t exactly known for their humanity. Regardless of what may be true, a monument still stands in Kiev, to honor the fallen Start players.